Hi there! 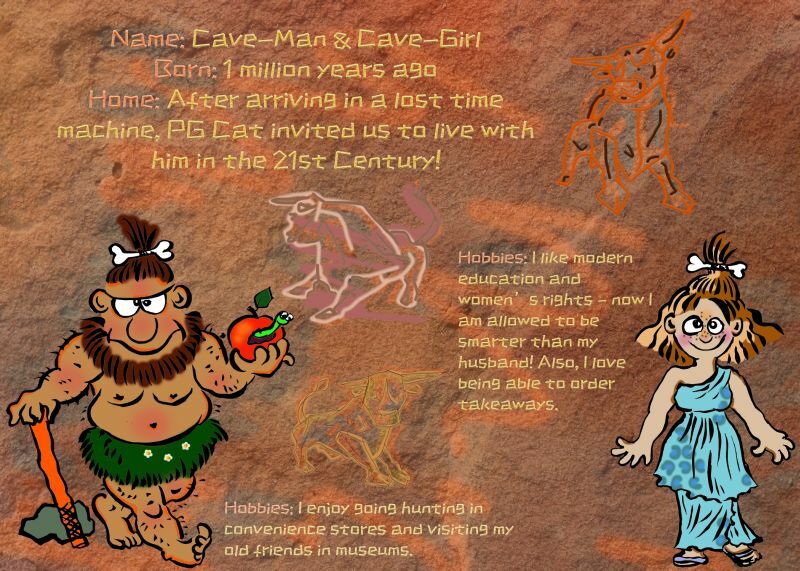 We are Cave People, but here we are in 2019, writing a blog – can you believe it?! One day, we were out on a date and came across a strange box with flashing lights… Well, the rest, as they say, is history! 2019 is an amazing place and everything is a lot easier here. Food is so fun! We got some funny looks Cave Man took his hunting equipment to the supermarket for the first time. Hunting equipment, but he forgot the reusable carrier bags! Meanwhile, Cave Girl has been going to college every day. She loves learning and often practises reading stories to our new friends before bed. We are looking forward to telling you all about our adventures in the modern world.